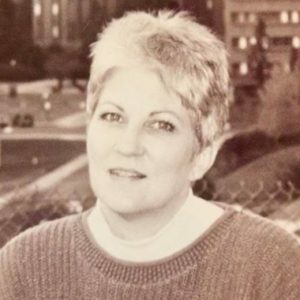 Susan Riley Whitney, 64, of Tacoma, Washington, passed away on June 28, 2017, after a hard fought battle against breast cancer. A memorial service will be held Saturday, July 29, 2017, at 11 a.m. at Westminster Presbyterian Church, 5236 E B St, Tacoma, WA 98404, with Pierce County Sheriff’s Chaplain Rick Bulman officiating. A reception will follow the service. Susan was born in Vernon, TX to Horace and Wilma Riley. She married Richard Whitney in November 1977. Susan’s early career was spent as a flight attendant for Braniff Airlines, while later transitioning to a life of service as a 911 dispatcher. Supporting the Tacoma Police Department and surrounding community, Susan devoted over 26 years to the Law Enforcement Support Services (LESA) now known as South Sound 911. Susan is preceded in death by her parents, Horace and Wilma Riley. Susan is survived by husband, Richard Whitney; daughter Michelle and husband Todd Bodenheimer; daughter Vanessa and husband Phanith Keo; daughter Janette and husband Gil Garfias; sister Patricia Wareing; brother Michael Riley; grandchildren Wyatt, Connor, Sebastian, Jordana, Nikolas and Enzo; and her forever friend, Laurie Cook. In lieu of flowers, friends and family are asked to make a donation to 911 Cares, an organization that helps 911 dispatchers struggling with health issues or family emergencies. Checks should be made out to 911 Cares and sent to PO Box 5508, Redwood City, California 94063. Thank you for the love and support shared with the Whitney and Riley families at this difficult time.